As a healthcare organization, if you’re not already focused on decreasing claim denials, time is of the essence. According to one industry estimate, healthcare personnel spend a little more than 20 hours per week solely dealing with insurance claims. Altogether, that equates to about $83,000 worth of time per year per physician on claims-related administrative tasks. Most of those expenses come from needing to rework and resubmit denied claims. For example, the average U.S.-based health plan with 100 million patients processes about 1 billion medical claims annually. Up to 20 percent of these are denied due to poor claims management, and each denied claim costs approximately $25 to rework. It’s obvious, then, that cutting costs and improving productivity means learning to cut down on claim denials, too. This is exactly why Northwell Health turned to Experian Health’s Claim Scrubber to accommodate its claims management needs. The Northwell Health network is intimately familiar with the high costs of dealing with claims denials. The nonprofit healthcare system consists of 22 hospitals and more than 550 outpatient facilities throughout New York state. In 2013, it partnered with Experian Health to cut down the rate of denied claims for all of its providers. With the help of Experian’s Claim Scrubber solution, Northwell Health cut that rate by 50 percent within just a few years. The network now also enjoys significantly shorter times between claim submissions and reimbursement, and staff can more easily stay up-to-date on regulatory and coding changes. By 2017, Northwell Health was a different, much more efficient healthcare network than it was four years before. The change was due mostly to the dramatically reduced time and costs related to denied medical claims, which Claim Scrubber made possible. Simple human error is the main reason why medical claims are denied so often. The smallest typo or discrepancy can lead to an immediate denial, and reworking a claim rarely increases its chances of being more accurate. Claim Scrubber eliminates that error by automatically quality-checking each claim line by line according to general, patient, and payer-specific information. The software solution streamlines claims management by checking that every claim is clean and error-free before the provider submits it, eliminating the costly, time-consuming need to redo them. Fewer denials (and, therefore, fewer reworked claims) mean a faster and more predictable revenue cycle, as well as lower administrative costs and more time for staff to focus on patient care. In turn, by 2017, Northwell Health providers’ investment in patient care paid off. They were ranked the Best Children’s Hospitals across nine specialties by U.S. News and World Report. This is an amazing accomplishment, especially when Northwell Health’s work with Claim Scrubber began as a small pilot program implemented for a single specialty. At first, the network chose 10 distinct edits to implement in claims related to a single specialty. 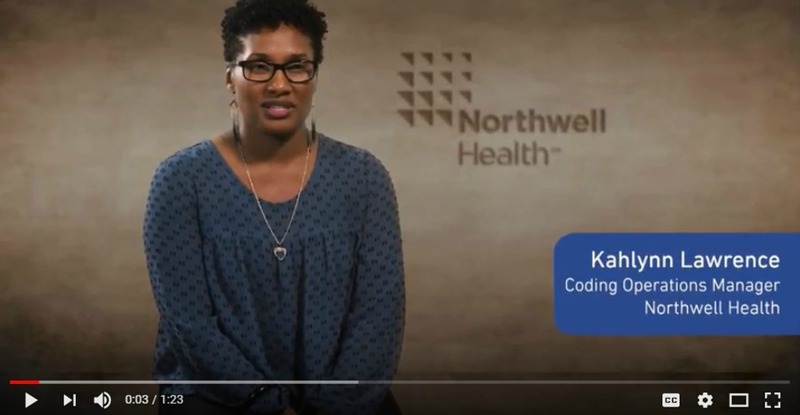 Through direct communications with the Experian Health team, including weekly invoice audits to ensure the edits were working, Northwell Health providers quickly began seeing results. For that single specialty, claim denials in several categories started decreasing rapidly. After just one year, providers throughout the Northwell Health network saw the difference compared to their own claim denial rates. Before long, every provider wanted the edits enabled for their categories. Today, Claim Scrubber is activated for more than 25 specialties throughout the network, and leadership is confident that denial rates will continue to drop. The reason why the Northwell Health network is such a great example of Claim Scrubber’s potential is that it implemented the change in small steps. When it comes to claim submissions, every detail matters, and together with Experian Health’s experts, the solution allows you to examine every detail and the success of each edit before moving on. Change is challenging, especially in healthcare, but the exorbitant amount of time and money that providers lose every year to denied claims is becoming unsustainable. By following Northwell Health’s example and taking small steps toward better solutions, every healthcare provider can overcome that challenge and eliminate the burden of claim denials.